Legislation across the country continues to expand workers’r; compensation coverage for post-traumatic stress disorder. This coverage is primarily aimed at first responders who have not been physically injured, making it important to understand just what PTSD is, who is at risk, and why PTSD warrants special considerations for drug formulary management. Post-traumatic stress disorder (PTSD) – a serious mental condition that can occur after a traumatic incident – is creating serious buzz in workers’r; compensation. As legislation covering mental-only cases continues to spread, it raises the question: what should workers’r; comp professionals know about PTSD and its management within a claims population? Post-traumatic stress disorder is a condition of mental anguish that can develop after experiencing a severe psychological shock. PTSD can manifest in a variety of ways, but the key point of note is that the symptoms reduce an individual’r;s ability to function. When an individual experiences trauma, they may be unable to stop thinking about the incident, even as months and years pass. When one cannot stop experiencing persistent, disturbing, and intrusive thoughts related to their trauma, they become trapped in a cycle of negativity so pervasive that they may be unable to focus on basic tasks. It is important to understand that one cannot simply “snap out of”r; PTSD. Patients often experience involuntary flashbacks and recurring nightmares where they relive their trauma. Unable to escape these negative thoughts, individuals may begin to live in fear, which can lead to depression and anxiety. It is not uncommon for individuals with PTSD to avoid once-enjoyable activities, shying away from places and situations that remind them of their trauma. Such powerful fear avoidance can infect every aspect of an individual’r;s life, putting them on edge and manifesting in a variety of ways that might include startling easily, angry outbursts, excessive nervousness, and feelings of helplessness. And as psychological stress can greatly impact physical health, this increase in anxiety can bring further health complications that can also impact an injured worker. While any person can develop PTSD if they experience a traumatic enough event, certain occupations increase the likelihood of experiencing or developing it. PTSD is particularly prevalent for first responders as the nature of their work regularly exposes them to potentially traumatic events. Firefighters, police officers, and EMTs can bear witness to horrific injuries and death. Firefighters and police in particular may experience the death of a colleague or civilian in the line of duty, while police officers may be forced to confront gruesome crime scenes, violent encounters, and crimes involving children, sexual abuse, and other disturbing elements. Based on the statistics, it follows that the recent influx of mental-only PTSD legislation is geared toward first responders. But as scientific research continues to link PTSD and other occupations, it is possible that more professions could lobby for mental-only coverage in workers’r; comp. Furthermore, social workers and mental health professionals are also likely to encounter potentially disturbing events, as they often work with children in sensitive situations and the mentally ill. There have even been reports that those who must repeatedly view disturbing content for their work, such as certain employees in the security sector and content moderators who must screen questionable materials on the internet, could develop PTSD. PTSD is a significantly different type of injury than those typically found in workers’r; comp claims. Payers that cover populations at higher risk for mental-only injuries such as PTSD – particularly those in the public sector, including municipalities, state funds, and other state government or local community entities that provide coverage for police forces, fire departments and EMTs – must consider the different needs of this population compared to broader workers’r; comp populations in their plan designs and management. An unfortunate reality is that any workplace can become traumatic due to random acts of violence. As the media continues to report on mass shootings, acts of terror, and other horrific situations, it is undeniable that some of these incidents involve the workplace, and the question of what role workers’r; comp plays in this equation is up for debate. 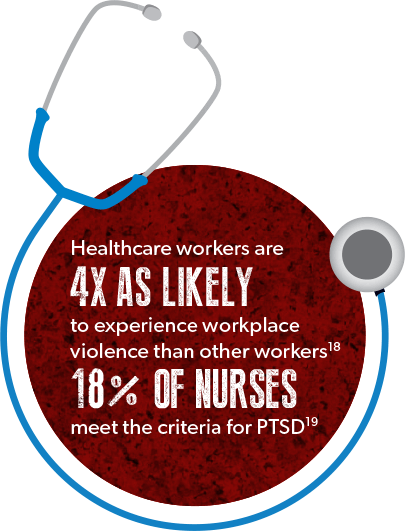 From a legislative standpoint, this is a strong gray area when it comes to the compensability of PTSD as a result of workplace violence, particularly when an individual is not physically injured. While some states would extend coverage for mental-only claims in such scenarios, very few require it, and the decision to compensate these claimants is primarily left to the payer. Ensures access to medications deemed appropriate for the treatment of PTSD. 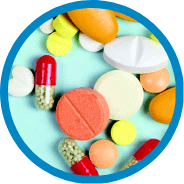 This may mean including medications on the formulary that are not necessarily part of standard workers’r; comp drug formularies, along with having exception rules in place that ensure timely access to needed treatment. Medications commonly prescribed for PTSD include antidepressant drugs such as selective serotonin reuptake inhibitors (SSRIs) and serotonin-norepinephrine reuptake inhibitors (SNRIs). Incorporates specialized edits and alert systems that help claims professionals navigate drug safety concerns specific to PTSD patients. For example, drugs such as benzodiazepines and opioids – two drug classes commonly prescribed in workers’r; compensation – should not be used by patients with PTSD as they can be detrimental to one’r;s mental state. 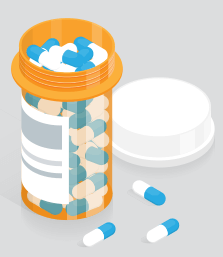 Having specialized drug utilization review (DUR) edits and supporting alerts in place can flag drug-disease interactions, contraindications, and any other medication safety concerns specific to the population, as well as provide pertinent education about these patient safety concerns. Offers specialized injured worker patient regimens in the form of pharmacist consultations. Like any other injury, PTSD’r;s impact on a specific patient may require special attention, especially if a patient has other underlying conditions outside of workers’r; comp, is already taking other drugs, or undergoing other treatments. A comprehensive drug regimen review or discussion with a clinical pharmacist could help pave a more effective path for individual patients. 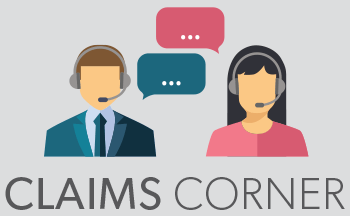 From an overall claims management standpoint, it’r;s important to consider not only what appears in a claim from a drug utilization perspective, but what might be missing. While medication therapy can assist in the treatment of PTSD by helping patients regulate their symptoms, nonpharmacological therapy should always be a part of treatment and recovery from PTSD. Just as physical injury claims that rely heavily on pharmacological modalities to address the symptoms of pain without active therapies to promote functional recovery should raise flags, mental–only claims that fail to incorporate a psychotherapy component should raise concerns that the patient’r;s PTSD is not being adequately or effectively treated. Therapies such as cognitive behavior therapy (CBT), exposure therapy, stress inoculation training, and mindfulness–based meditation address the root cause of PTSD, providing patients with coping strategies, emotional release and opportunities to better understand and manage their fears and anxieties. Cognitive Behavioral Therapy – a common form of counseling where psychological problems are assumed to be based on faulty or unhelpful ways of thinking that impact one’r;s perception. By recognizing these faults in perception, patients can work to change their thinking patterns in ways that can alleviate them from guilt and fear, helping them to function. Stress Inoculation Training – similar to how a vaccine (an inert virus) can protect one from a live virus, this form of psychotherapy gradually has patients discuss and explore their trauma and painful emotions to the point of mild discomfort, pulling back and relaxing before revisiting their stressors once more, building an immunity over time that helps them handle stressful events. Exposure Therapy – for some patients, certain sounds, sights, or other stimuli may trigger PTSD flashbacks, and this form of therapy allows patients to encounter triggering stimuli in small doses in a safe environment. By gaining a sense of comfort when exposed to these stimuli, patients can slowly be exposed to more intense stimuli, helping them to reduce or eliminate events that trigger emotionally–charged episodes. Mindfulness–based Meditation – an awareness of the present moment that involves focusing on one’r;s immediate thoughts, feelings, sensations and physical surroundings, this form of meditation helps patients to actively take stock of their emotions. Just as if one were to cut themselves and stop to consider how to cover, clean and bandage the wound, mindfulness helps patients to step back during an emotional episode, acknowledge that their psychic wound is flaring up, and take measures to relax and overcome the incident. Twenty-four states&ast; list PTSD as a qualifying condition for the use of medical marijuana,20-21 despite the lack of a consensus on clinical efficacy. While preliminary evidence suggests medical marijuana has the potential to treat PTSD,22 there is insufficient evidence to draw any substantial conclusions.23 No randomized clinical trials have been conducted,24 and conflicting data exists for the effectiveness of using medical marijuana to treat PTSD.25 Furthermore, marijuana can cause psychosis, which could aggravate PTSD. Methylenedioxymethamphetamine (MDMA), also known as the street drug ecstasy, will soon undergo Phase 3 clinical trials in combination with psychotherapy for the treatment of PTSD. While MDMA appears to be effective in treating PTSD when paired with psychotherapy, the trials were small, and results may vary with larger trials. However, if MDMA demonstrates significant clinical efficacy in the future, the drug could be rescheduled and FDA-approved. 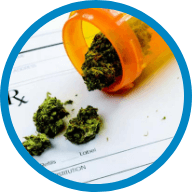 &ast;Since this article was published, two more states, Missouri and Utah, have passed amendments to create medical marijuana programs which will include PTSD as a qualifying condition. Are certain occupations at greater risk for developing PTSD? While anyone can develop PTSD if exposed to a traumatic enough experience, first responders – including firefighters, police officers and EMTs – are far more likely to develop PTSD due to the psychologically hazardous and disturbing scenarios their occupations expose them to. Does a PTSD claim require a physical injury? This depends on state legislation. 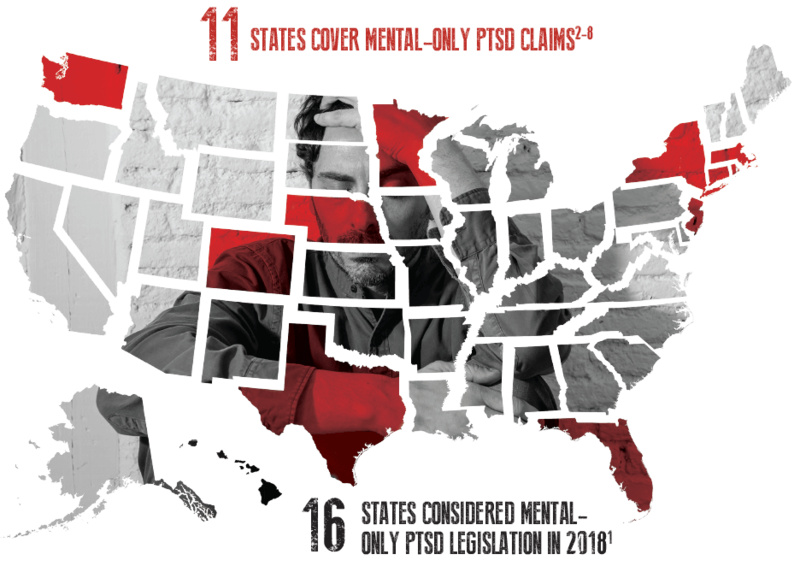 At least 11 states cover PTSD claims impacting first responders when no physical injury is present.2-8 In 2018, 16 more states considered similar legislation,1 and as time goes on, more “mental-only”r; claims may gain coverage. Because PTSD is a mental condition, psychotherapy is the recommended first-line therapy. However, mood-regulating medications may be prescribed to help patients manage PTSD symptoms as they progress through therapy. What kind of medications might be on a PTSD claim? 2 -House File 3873. Minnesota Session Laws – 2018, Regular Session. May 20, 2018. 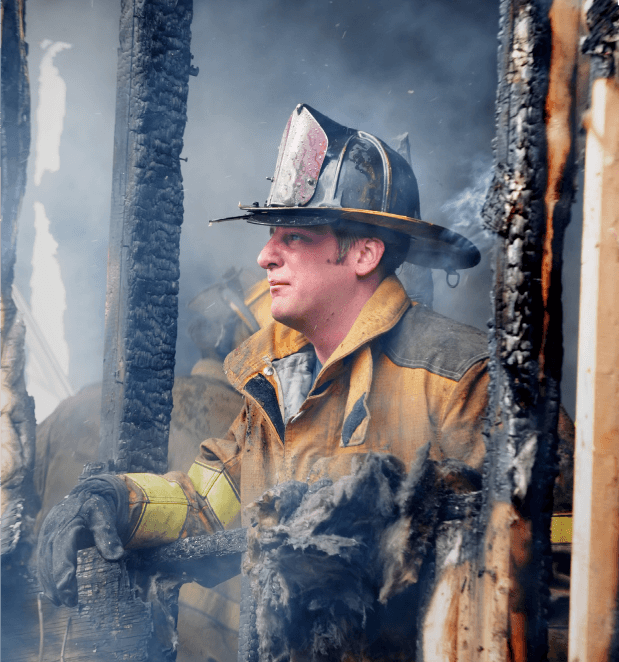 3 -Florida Senate Bill 376: Workers’ Compensation Benefits for First Responders. Florida Senate – 2018, Regular Session. March 28, 2018. 4 -Washington Senate Bill 6214: Allowing insurance coverage for posttraumatic stress disorders of law enforcement and firefighters. Washington State Legislature – 2018 Regular Session. March 23, 2018. 5 -Texas House Bill 1983: Relating to the eligibility of a first responder for workers’ compensation benefits for post-traumatic stress disorder. Texas Legislature – 2017 Regular Session. June 1, 2017. 6 -Nebraska Legislative Bill 444. Nebraska Legislature – 2017 Regular Session. May 2017. 7 -Colorado House Bill 1229. Colorado General Assembly – 2017 Regular Session. June 5, 2017. 11 -Wise EA, Beck, JG. Work-related trauma, PTSD, and workers’ compensation legislation: implications for practice and policy. Psychol Trauma. 2015 Sep; 7(5):500-6. doi: 10.1037/tra0000039. 12 -How common is PTSD? U.S. Department of Veterans Affairs. https://www.ptsd.va.gov/public/PTSD-overview/basics/how-common-is-ptsd.asp. Last updated Oct 3, 2016. 13 -American Psychiatric Association (2013). Diagnostic and Statistical Manual of Mental Disorders (5th ed.). Arlington, VA: American Psychiatric Publishing. pp. 271–280. ISBN 978-0-89042-555-8. 15 -Haugen PT, Evces M, Weiss DS. Treating posttraumatic stress disorder in first responders: a systematic review. Clin Psychol Rev. 2012 Jul;32(5):370-80. doi: 10.1016/j.cpr.2012.04.001. 17 -Stanley IH, Hom MA, Hagan CR, Joiner TE. Career prevalence and correlates of suicidal thoughts and behaviors among firefighters. J Affect Disord. 2015 Nov 15;187:163-71. doi: 10.1016/j.jad.2015.08.007. Epub 2015 Aug 28. 20 -Qualifying conditions for a medical marijuana card by state. Leafly. https://www.leafly.com/news/health/qualifying-conditions-for-medical-marijuana-by-state. Last updated Oct 30, 2017. 21 -Louisiana House Bill 579. Louisiana State Legislature – 2018 Regular Session. June 1, 2018. 22 -Walsh Z, Gonzalez R, Crosby K, et al. Medical cannabis and mental health: A guided systematic review. Clin Psychol Rev. 2017 Feb; 51:15-29. https://doi.org/10.1016/j.cpr.2016.10.002 Epub 2016 Oct 12. 23 -O’Neil ME, Nugent SM, Morasco BJ, et al. Benefits and harms of plant-based cannabis for posttraumatic stress disorder: a systematic review. Ann Intern Med. 2017;167(5):332-340. https://doi.org/10.7326/M17-0477 Sep 5, 2017.